Lucas Torreira has praised the current state of Arsenal's squad, saying he is happy to play alongside quality squad members like Mesut Ozil. Torreira has become a huge Gunners fan favorite after impressing during his short time with the club. He looks to be the solution to a problem Arsenal have had for many years, with his performances in midfield exactly what fans of the north London club have been hoping for. The Uruguayan says he is fully concentrated on working hard and proving his worth to the team, after having to wait to make his full debut under Unai Emery at the start of the season. He told Arsenal's official ​website: "I think the most important thing for me is hard work and that day-to-day learning. "I'm part of a squad that has got some stars within it, people who have achieved a lot throughout their entire careers." 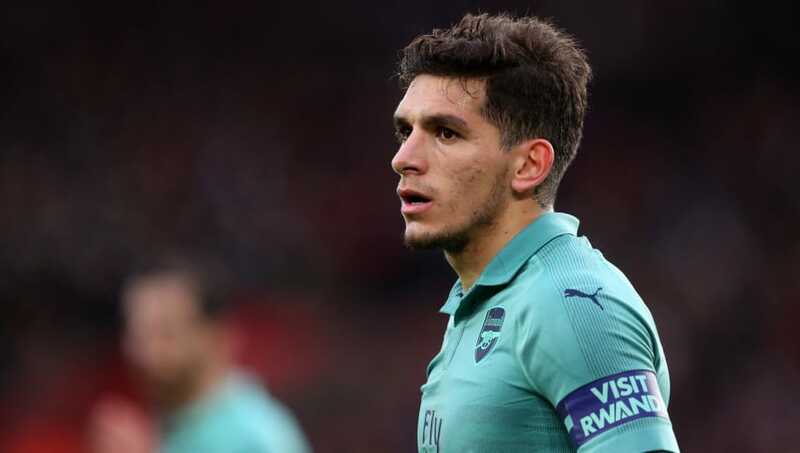 Torreira singled Ozil out as a player of particularly high quality, despite the former ​Real Madrid playmaker missing several games this season due to a succession of injury problems. He added: "It's incredible really to be able to be in the same squad as a player like ​Mesut Ozil and obviously other players too, players that have achieved a lot and have great quality. It makes me proud. "I'm happy to be able to be in the same squad, and I try to learn from them when I'm on the pitch. It's about gelling and trying to enjoy myself on the field of play so that fans have something to shout about." Torreira has had a brilliant season so far, scoring important goals against Tottenham and Huddersfield as ​Arsenal look to make up the ground on fourth placed ​Chelsea in the hunt for Champions League qualification.